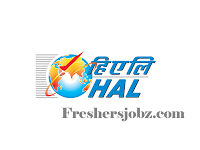 HAL Notification 2019.Hindustan Aeronautics Limited (HAL) has released a notification for the recruitment of Assistant & Operator vacancies.Check the eligiblity and notification prior to apply for the positions. Assistant (Admin/ Accounts) : Master Degree in Commerce (M. Com) with relevant certificates of proficiency in PC Operations. Assistant (Q.C./ Inspection) : 3 years Regular/ Full Time Diploma in Mechanical Engineering from any Board of Technical Education. Assistant (Civil Works) : 3 years Regular/ Full Time Diploma in Civil Engineering from any Board of Technical Education. Operator : 2 years Regular/ Full Time ITI (NTC) + National Apprenticeship Certificate (NAC) after 10th Standard in the Trades of Fitter/ Electrician/ Electronics Mechanic/ Instrument Mechanic. Look around for “HAL Recruitment 2019 for Assistant & Operator Posts“.